If you are a Samsung Galaxy user and have received the infamous Warning. Camera Failed error message, here is how you can fix Warning Camera Failed error on your SGS4! The issue is not that big and just need a bit of software tweaking to fix the problem. Here are a few tips and tricks to fix Warning Camera Failed error message on your Samsung Galaxy S4! Go to Settings and tap on Application Manager. Then tap on the Camera icon and tap on the force close button. Select the clear cache and clear data buttons. Restart your Samsung Galaxy S4 and it will clear all the cache data of your camera. Please note that this may cause loss of camera preferences. This is the second option if the first did not work with getting rid of the camera error message. Before going for factory resetting your Samsung Galaxy S4, create a backup of all your important data. Once done, go to Settings > Accounts and tap on the reset key followed by Factory Data Reset. Tap on Delete All. This will delete and reset your smartphone and chances are will help you get rid of the camera error. While we do believe, the above step of factory reset will help you fix Warning Camera Failed error message on Galaxy S4, if it does not, here is the last resort. It would get you into Android System Recovery mode. 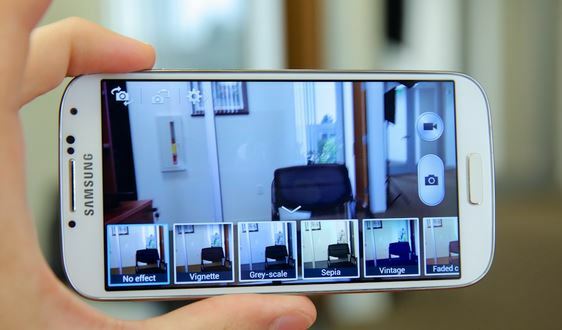 This will help you fixing the camera troubles on Galaxy S4! Connect your device to your laptop using data cable. Let us know if you have come across any other tips to fix Warning Camera Failed error message on Galaxy S4!